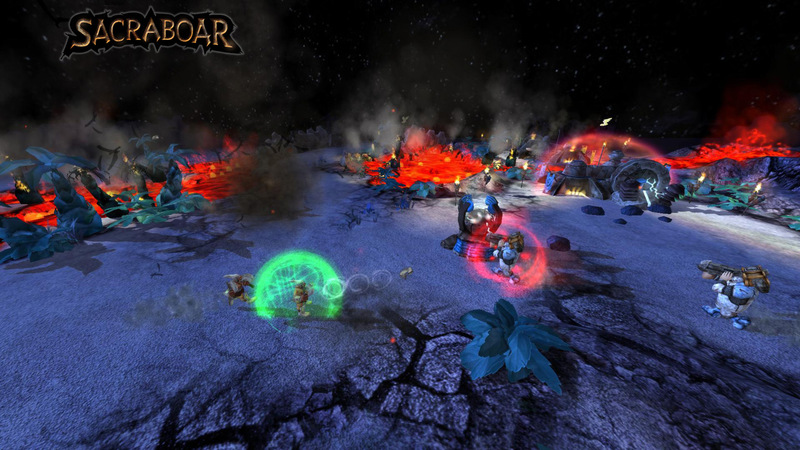 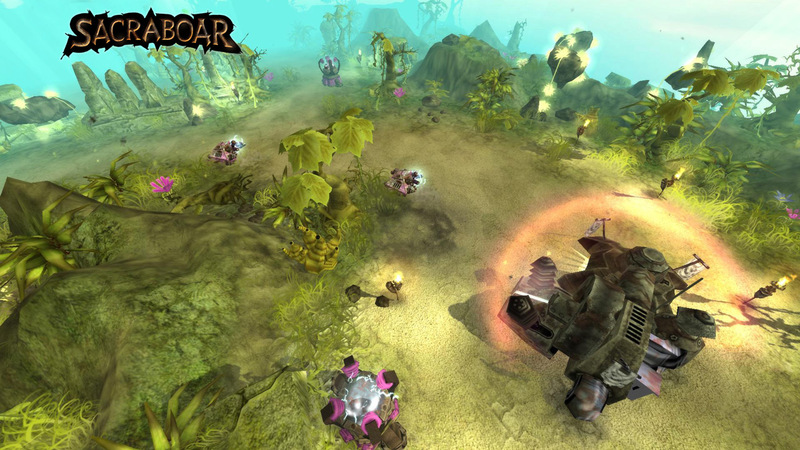 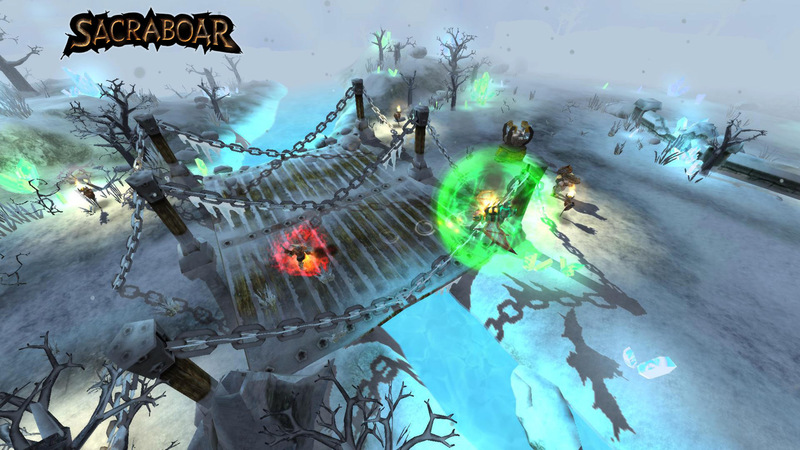 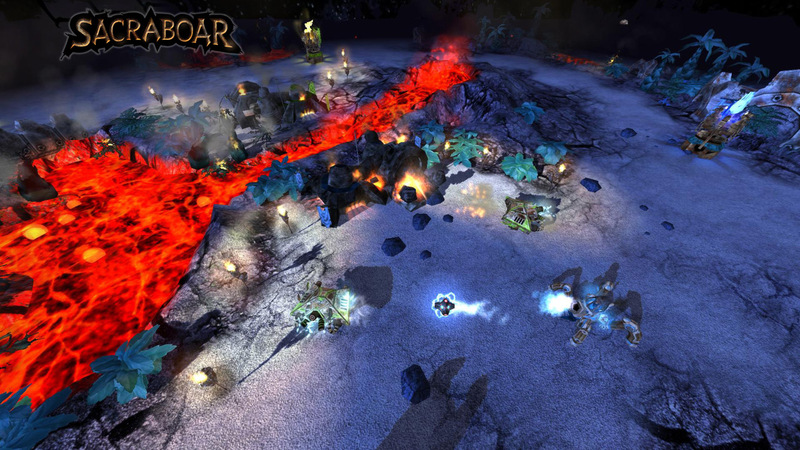 Sacraboar is a real-time capture-the-pig strategy game. 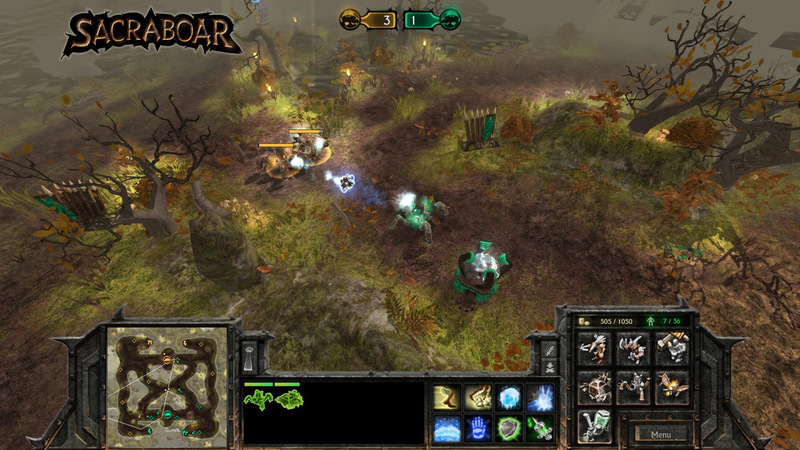 Use your units to get your opponent's flag and, at the same time, defend your own. 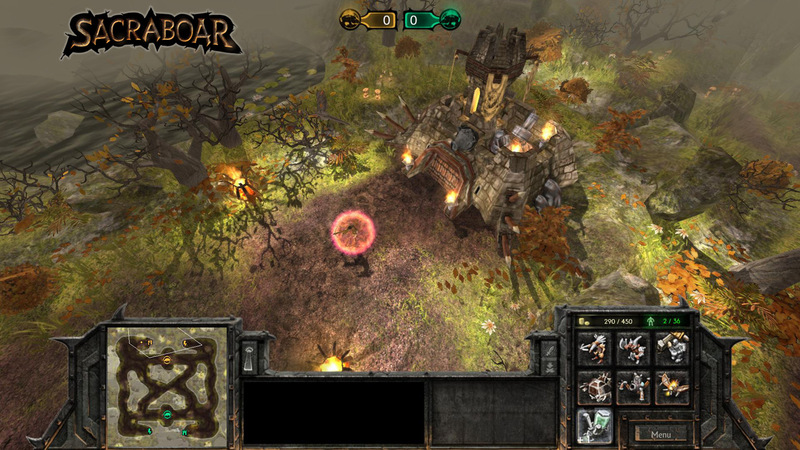 You can build resource towers to increase your budget for buying units. 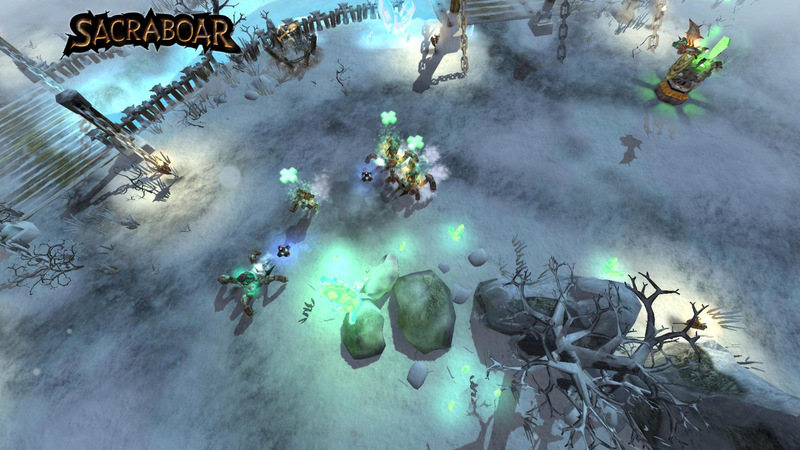 Or build magic towers to get access to powerful magic spells. 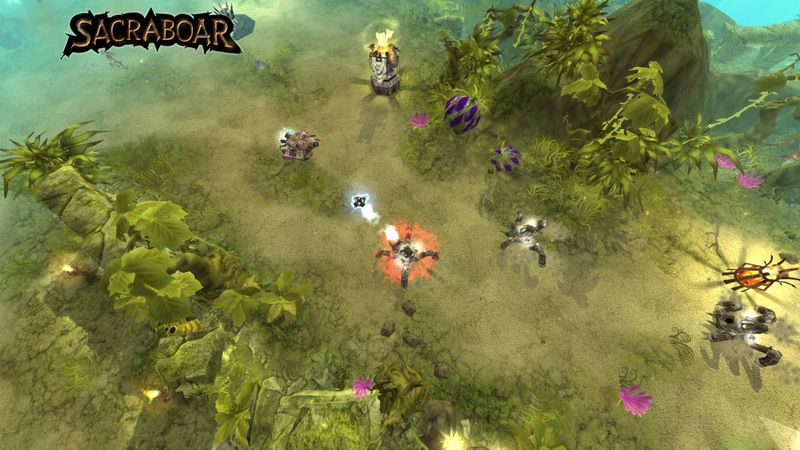 Destroy your opponent's towers to make him lose his spells or his extra money. 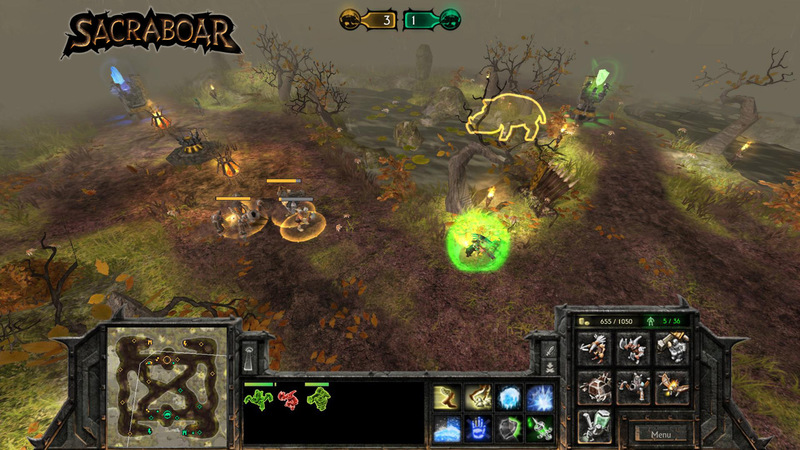 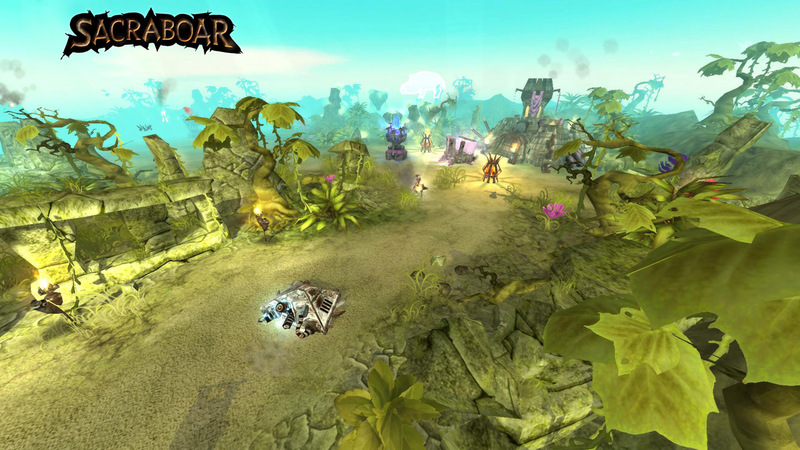 Sacraboar is an exciting game that instantly puts the player into the action.